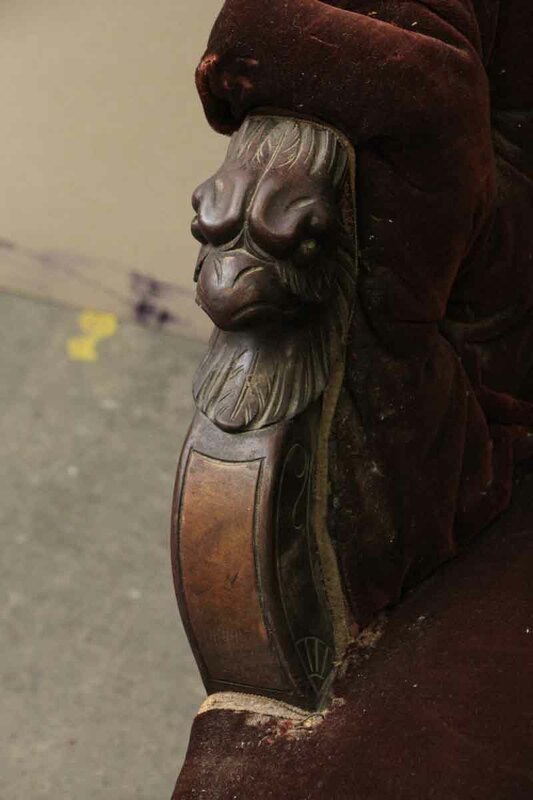 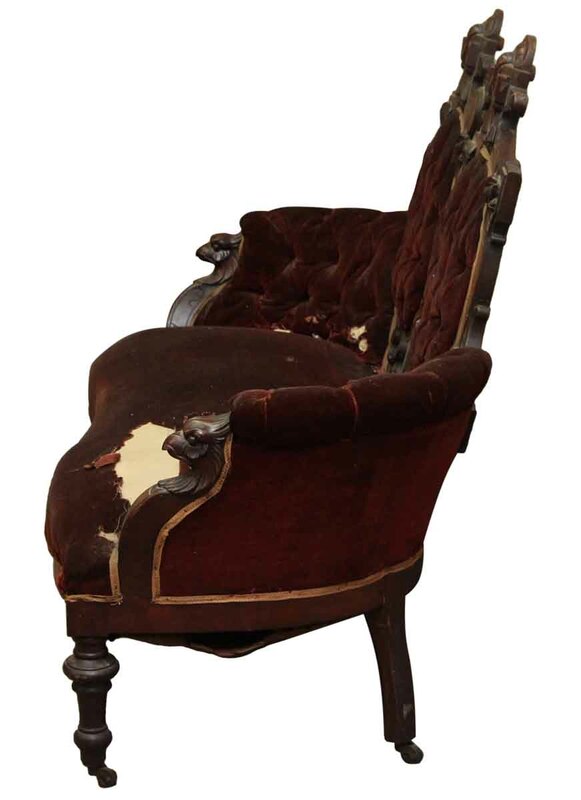 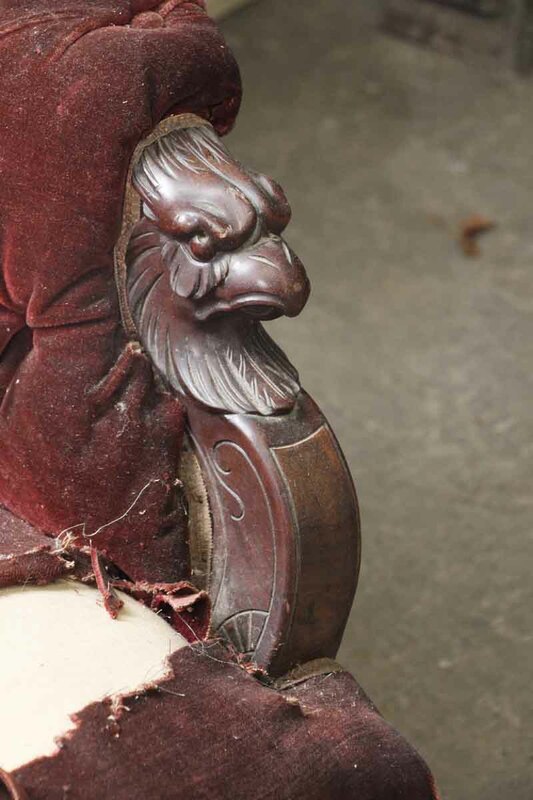 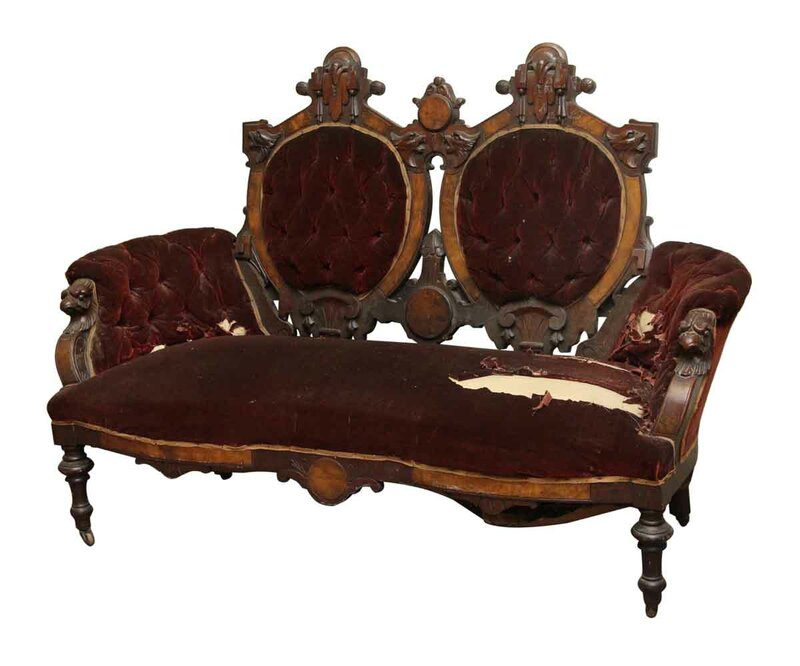 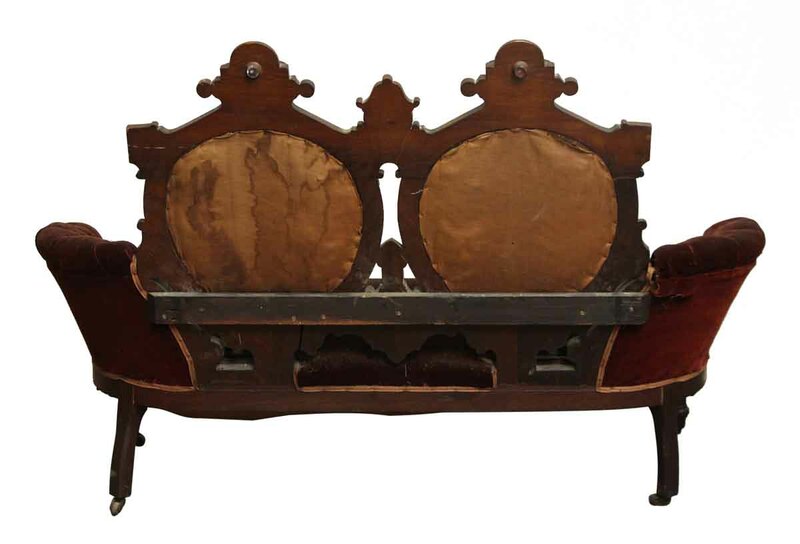 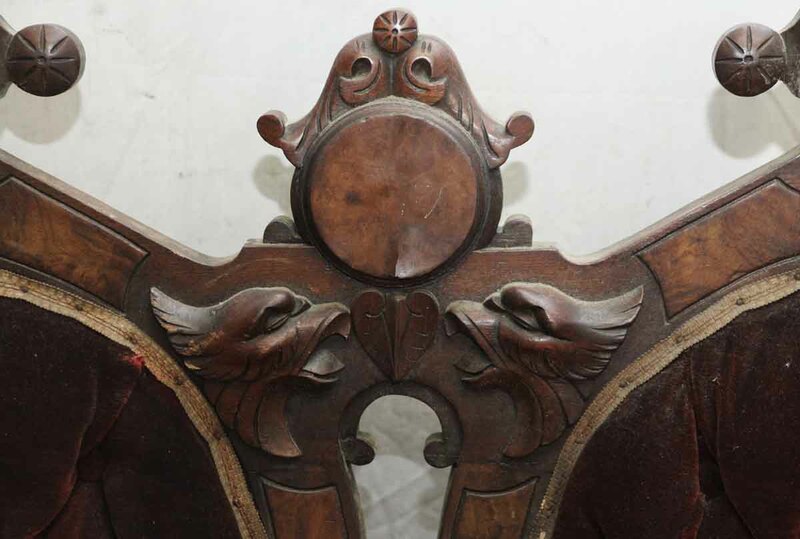 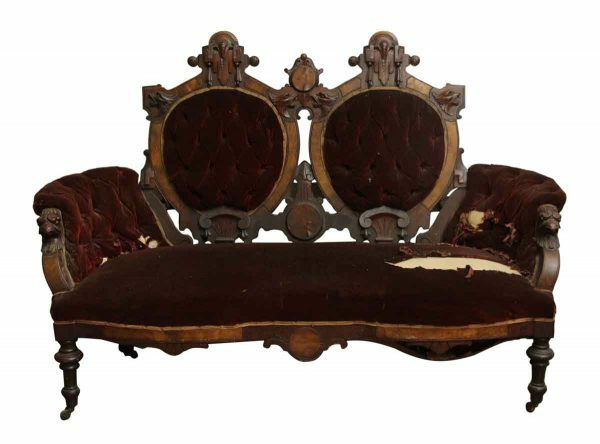 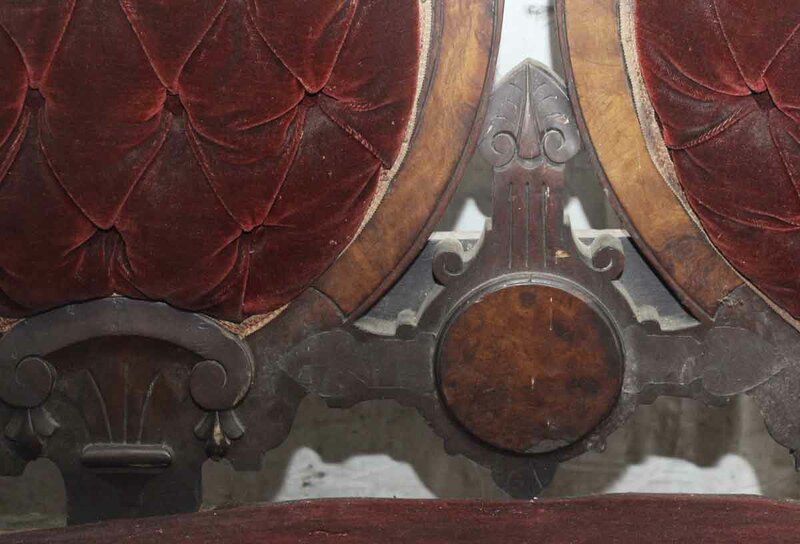 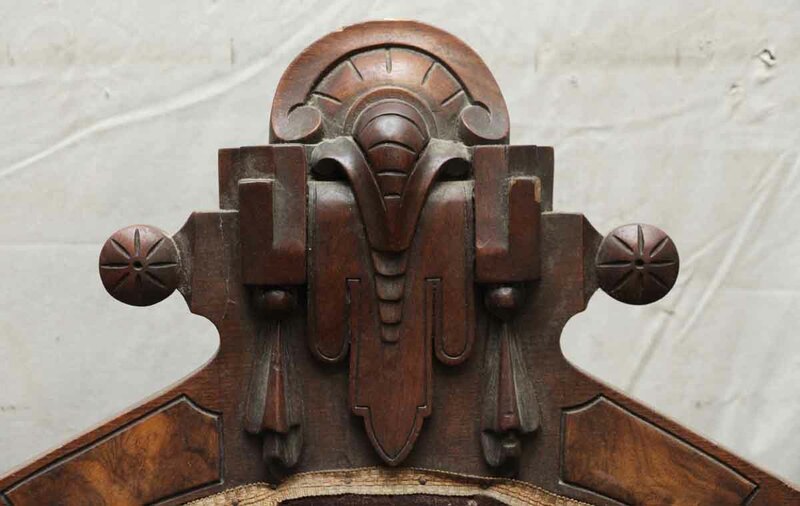 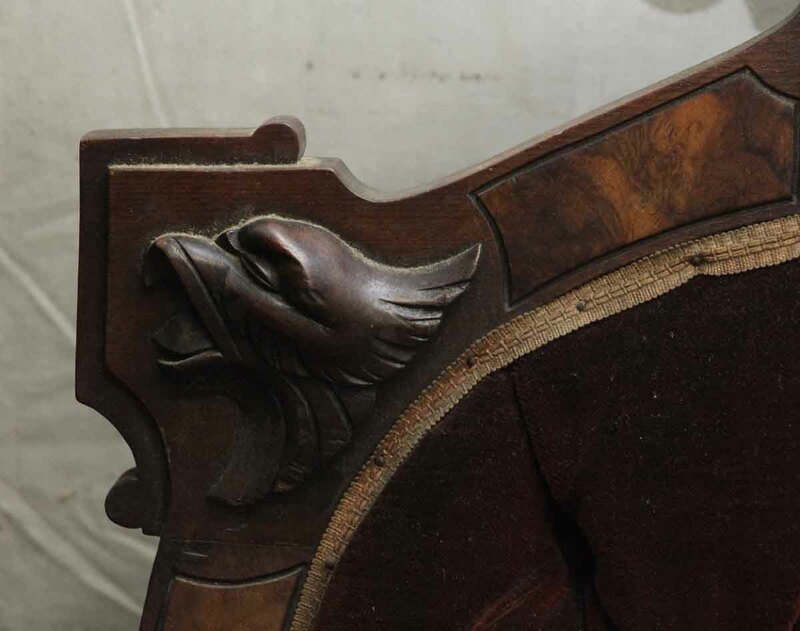 Beautifully carved Victorian love seat with wine colored velvet, set on wheel castors. 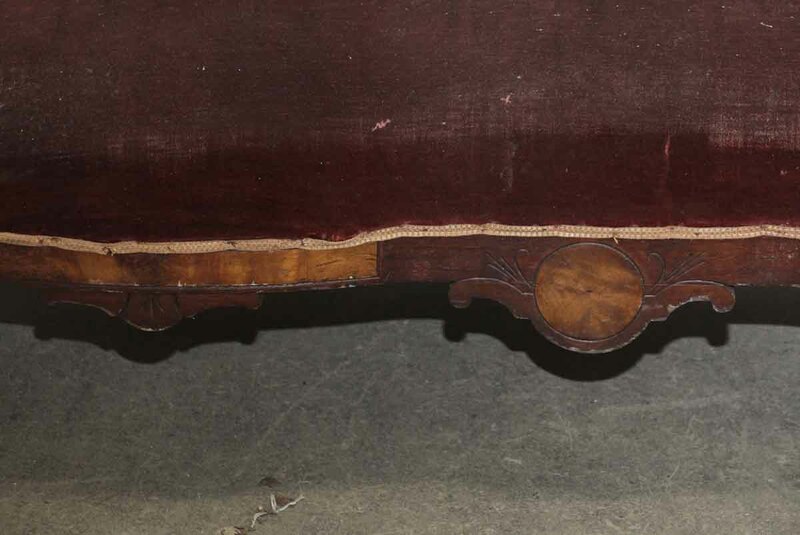 The velvet and cushions need to be restored. 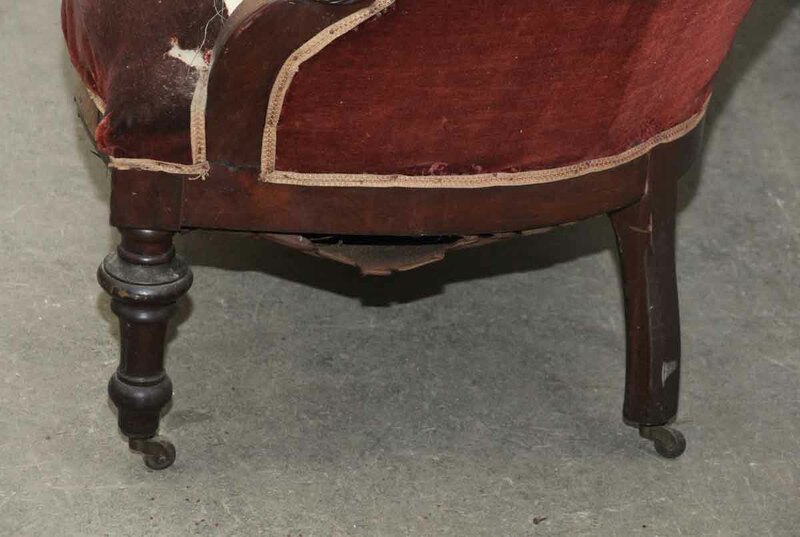 The frame needs to be tightened up.